When Jio is going to launch 5G in India? 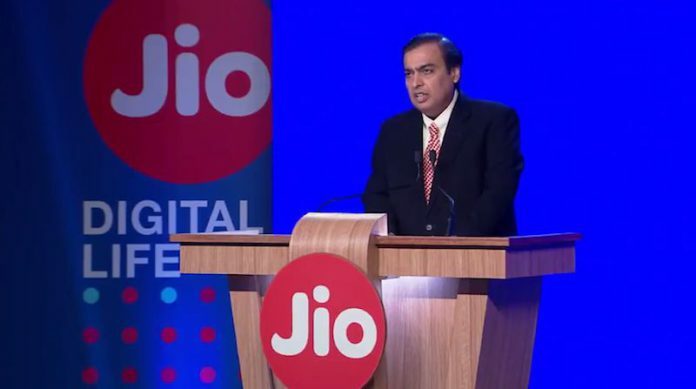 Reliance Jio is preparing to launch fifth generation, or 5G, telecom services by mid of 2020. 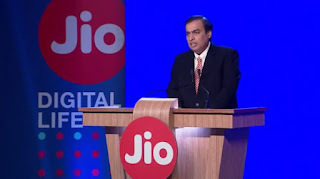 "Jio has 5G-ready LTE network and we are capable of launching the new technology-based services within five-six months once spectrum is allocated ",a company official of Mukesh Ambani-owned RJIL(Realince Jio Infocom ) said. The government recently said it plans to allocate 5G spectrum by end of 2019 which means the Jio could launch the 5g services in India by middle of 2020. How much speed 5G will provide:5G network can support download speeds 50 to 60 times faster than 4G .At present Reliance Jio 4G network offers a maximum download speed of 100Mbps. 5G network key focuses:Fibre rollouts is a key near term focus for the telecom sector, especially for the development of 5G . Jio is aggressively deploying optic fibre which forms the backbone of a 5G network.Jio and Bharathi Airtel have started deploying MIMO (Multiple-Input Multiple-Output) and Network Functions Virtualization (NFV) and Software-defined Networking (SDN), to get their networks 5G ready. 5G network challenges: Biggest challenge would be the readiness of the ecosystem, including availability of devices, which support new spectrum band. But, reliance can beat this since they have already solved the same problem during 4G rollout. Leading chip makers Qualcomm and MediaTek— are developing 5G-based modems.Chinese teleco Huawei is also a front runner in 5G cell technology and network devices . Another challenge in 5G rollout is deployment of new cell towers. Since 5G uses higher band frequencies coverage area of each unit will be lesser than that of 3G and 4G. Instead of bigger towers numerous small towers need to be deployed across the country. Reliance Industries is in discussions with both local and multinational vendors to ensure the availability ahead of the devices before the commercial 5G rollout. Globally, devices supporting 5G technology are expected to be available some time in 2019, starting with the high-end models. 5G upgradation would be easier for Jio which already has an all IP-based network, experts say. 5G spectrum allocation :Telecom secretary Aruna Sundararajan recently said the transition to 5G from 4G could happen much faster compared with the switch from 3G to 4G services.The Department of Telecommunications (DoT) has already invited Jio , Bharti Airtel, Vodafone Idea and Bharat Sanchar Nigam Ltd (BSNL) for field trials for which it is planning to allocate free-of-cost spectrum for a limited period. This would provide an opportunity for telcos to develop the ecosystem and study the market. The Telecom Regulatory Authority of India (Trai) has already recommended spectrum in the 3300 Mhz - 3600 Mhz range for the rollout of 5G services in the country . At its Global Analyst Summit 2018 in Shenzhen,China, Huawei detailed its plans to release its first 5G-enabled smartphone in the second half of 2019. Huawei aims outsmart it's western counterparts in 5G roll out revealing plans to launch a handset next year packing the firm’s very own 5G modem. Huawei recently revealed the Balong 5G01 chip in February at MWC 2018, in Barcelona. The company claims the model is capable of 2.3Gbps bandwidth. This particular model is designed for mobile hotspots and self-driving cars. However, it is also working on modems exclusively for use in 5G smartphone. Huawei’s 5G NR products have passed TÜV SÜD's (the European Union's certification authority) strict verification requirements after several rounds of rigorous testing and evaluation. As a leading information and communications technology (ICT) solutions provider, Huawei is now the first company to achieve a CE type examination certificate (TEC) for its 5G products. If Tech rumors are correct, first 5G handset would be from Huawei mate series. Samsung signed a strategic agreement with Qualcomm that covered the “transition to 5G".This tells that Samsung is also keen on 5G hansets.Samsung had previously earmarked 2019 for its first 5G handsets. Qualcomm already has its own modem called the X50 for mobile devices recently managed to hit speeds of 4.51 gigabits per second. Intel announced a partnership with Microsoft, Dell, HP, and Lenovo to create 5G-enabled laptops based on Intel's own modems. Building a 5G smartphone is more challenging than 3G or 4G as these will include multi-modes (2G,3G,4G,4.9G, 5G SA/NSA).Packing multiple antennas and chipsets into a single device is tough and challenging. 5G uses Millimeter wave bands (26, 28, 38, and 60 GHz)., which makes the RF integration and positioning more complicated.Designing boards for RF is challenging. 5G network data speed will be 1-10Gb. 5G phone needs 5x more processing power and 2.5x more power consumption.Currently available batteries are not a good choice for 5 handsets. When will 5G be launched in india? 5G refers to the next generation of wireless broadband technology. It will be the successor of 4G wireless broadband technology. 5G will be totally different from it's it's predecessors. It is not only a high speed mobile network, but also a network of interconnected devices that can be accessed from anywhere in the world. Here device can be anything . 5G network envisages network of different kinds of devices connected using a standardized network backbone,that includes mobile handsets,computers,TV,Home appliances,Vehicles,IoT(Internet of Things) and other electronic devices and machines. From the user’s perspective, 5G networks will offer higher speeds and more interconnect points. Experts believe that 5G will give a massive boost to Internet of Things (IoT), wherein devices, appliances and gadgets are connected to an internet network and can be accessed from anywhere in the world. As you know Govt. of India is stressing on nation wide digitalisation programme and telecom war just got another face with the step-in of Reliance Jio. With the introduction of Jio, data has become much cheaper and competition has gone to it;s peek. But when will a full fledged 5G network be launched?.Let us have a look at some of the news about 5G in India and around the world. AT&T aims to be the first U.S. carrier to provide fifth-generation, or 5G mobile service to phone customers this year, pitting the wireless giant against VerizonCommunications (VZ) and T-Mobile US (TMUS) in a costly network upgrade race to spur revenue growth.AT&T claims that 'AT&T 5G services will be based on industry standards for 5G. To make this happen, we were one of the key drivers for standards acceleration last year.Because of that acceleration, 3GPP, the international wireless standards body, completed key elements of 5G new radio (NR) standards last month'. With these specifications now available, hardware, chipset and device manufacturers can start development. This allows us to provide mobile 5G services sooner. "With faster speeds and ultra-low latency, 5G will ultimately deliver and enhance experiences like virtual reality, future driverless cars, immersive 4K video and more",said Melissa Arnoldi, president, AT&T Technology and Operations. AT&T have already laid foundation for mobile 5G with the launch of 5G Evolution in 23 major metros; Atlanta; Austin; Boston; Bridgeport, Connecticut; Buffalo, New York; Chicago; Fresno; Greenville, South Carolina; Hartford, Connecticut; Houston; Indianapolis; Los Angeles; Louisville; Memphis; Nashville; New Orleans; Oklahoma City; Pittsburgh; San Antonio; San Diego; San Francisco; Tulsa, Oklahoma and Sacramento, California. Last year, they also launched pre-standards 5G fixed wireless trials in Austin, Texas; Waco, Texas; Kalamazoo, Michigan and South Bend, Indiana with residential, small business, and education customers. Verizon has announced that it's launching residential 5G broadband (that is, fixed-in-place wireless) in three to five markets starting in the second half of 2018. It is expected that rollout will begin in Sacramento, California.Recently at MWC(Mobile World Congress) at Fira Barcelona Gran Via ,they were able to provide 5G network for entire area . It was fixed-in-place wireless network.Focus was on providing low latency network rather than a high speed network. Latency is the time taken by the network to respond to the request from user. Huawei surpassed it's rival in 5G mobile device technology. Huawei announced its first 5G chip at this year’s Mobile World Congress 2018 in Barcelona, which will allow the company’s mobile devices to access the next generation of cellular networks, 5G. The chip would appear to be a challenge to other manufacturers like Qualcomm and Intel. India launched it's 3G &4G little lately when compare with U.S and Europe countries.But India can't lag behind in 5G network. India is actively involved in the compliance and testing of 5G standards.India has recently constituted a 22-member high-level 5G Forum to evaluate and prepare a roadmap and action plan to meet the 2020 timeline. With one of the largest delegations at the Mobile World Congress 2018, India highlighted its readiness for 5G services and technology leadership .India is one of the largest consumer of mobile data.This indeed going to bring global 5G players to India. India's aspiration to take a leading role in 5G and Internet of Things (IoT) will ride on its ability to build core networks for new-age technologies and an enabling industry ecosystem, DoT Secretary Aruna Sundararajan said. India plans to roll out 5G services for consumers by 2020 and to achieve that objective.Telecom secretary Aruna Sundararajan recently said that the telecom department was expected to finalise a roadmap for 5G services by June this year. When asked about 5G spectrum auction in an interview during MWC 2018 , she said that the government will decide on it only after the Telecom Regulatory Authority of India submits recommendations to the government. Bharti Airtel and Chinese telecom giant Huawei have successfully conducted India’s first 5G network trial at a test setup at the Airtel's network experience centre in Manesar, Gurgaon. Abhay Savargaonkar, director – networks at Bharti Airtel, said the test is small but a significant step in its journey towards 5G mobile networks.He added '5G network data speed will be 100 times faster than current 4G networks. During the test trial, a user throughput of more than 3 GBPS was achieved using the setup. This is the highest measured throughput for a mobile network in 3.5 GHz band with 100 MHz bandwidth and end-to-end network latency of approximately 1 msec. The setup included 5G RAN operating on 3.5 GHz band, 5G Core and 50GE Network Slicing router. BSNL is gearing up for 5G as the telco had signed MoUs with Nokia& ZTE and started discussion with Japan's NTT according to a report by DNA..BSNL which is yet to launch its 4G services pan-India BSNL 4G service will be launchedpan India except for Delhi and Mumbai by second quarter of 2018. The reported quoted BSNL Chairman and MD Anupam Shrivastava saying, “The government is likely to infuse Rs 7000 crore in the form of equity while our investment will be around Rs 5500 crore. We expect the approval to come in April.”According to him, 5G is expected to come to India by next year. Jio cliams that it has an advantage over other operators when it comes to 5G rollout. One of the challenge in 5G rollout is building the underlying foundation for a resilient network(an all IP network). Jio's network is already IP ready. We know that Reliance Jio is the only network providing VoLTE based calling service in India.All other network providers switch to 2G/3G for calls. Unlike traditional 3G or 4G cellular networks that use lower band spectrum, 5G networks also incorporate mmWave spectrum, which is higher in the spectrum band in the 28 GHz and 38 GHz range.These spectrum bands can transmit very large amounts of data because of the amount of available spectrum, but only for short distances. Because of these constraints, the cellular network will rely on these smaller 30-foot towers rather than the bigger and geographically dispersed cellular towers used in 3G and 4G to carry the signals.This requires huge number of new sites and interconnections. The telecom industry – currently reeling under debt of more than Rs 7 lakh crore mainly due to the competition triggered by the entry of Reliance may force the government to go slow on 5G spectrum auction. As we have seen 5G network is not only a high-speed mobile network. It envisages an interconnected network of smart devices.Designing 5G capable devices are also a great challenge for manufacturers. Devices should be capable of handing ultra speed data transfer and new protocols that are yet to be finalized. The core standards for 5G are being developed by 3GPP.For a fully functional 5G network architecture we have to wait till 2020. The first phase of 5G specifications in Release-15 will be completed by September 2018, to accommodate early commercial deployment.The second phase in Release-16 will be completed by March 2020. Conclusion:Considering above discussed news, we could witness a 3.5 GHz band 5G network in India by mid 2020. Unlike older times, this time Government is keen on Switching to 5G along with other countries. Within a year India will be the largest market for telecom operators.Increased domestic and global competition will also help India in achieving 2020 timeline along with USA,China and Europe.It may take further many years for delivering full potential 5G network that we envisage. Dual-rear cameras have been in the trend since early 2017.Swipe Telecom is an innovative Indian startup offering the budget tablet pcs and dual sim android enabled smartphones. Swipe has launched a new smartphone in the India today, dubbed as the Swipe Elite Dual. Priced at Rs 3,999, the Elite Dual is the cheapest smartphone with dual rear cameras and 4G VoLTE Support . Let’s see what else it has to offer.. The Elite Dual also has support for 4G VoLTE, meaning you can use True 4G carrier operator SIMs like that of Reliance Jio 4G. Internal Storage: 8GB of internal storage. Cameras: Swipe Elite Dual offers dual rear cameras of an 8MP primary sensor and a 2MP secondary sensor. The primary sensor captures RGB shots, while the secondary sensor captures depth information. Swipe has added a selfie-CAM of 5MP and both the rear, front cameras have support for an LED flash. Connectivity:It’s a dual-SIM smartphone and offers connectivity options such as Wi-Fi 802.11 b/g/n, Bluetooth 4.0, GPS and a micro USB port for charging and data transfer. It also has a 3.5mm headphone jack. Sensors:Swipe Elite Dual is embedded with Proximity sensor Accelerometer for enhanced user experience. The device will be exclusively available via e-commerce portal Shopclues in three colour options- Gold, White and Black starting March 8, Thursday. Alongside the launch, the company also announced its partnership with Reliance Jio to offer Rs 2,200 instant cashback for the buyers.Rs 2,200 will be credited to the customer’s MyJio account in the form of Rs 50 vouchers of count 44. Reliance jio launched country's first 'free' smartphone for getting more Indian online.Reliance industries chairman Mukesh Ambani announced the official launch of JioPhone on 21 July at reliance AGM 2017.Eventhough phone is taged 'free', buyers has to spend refundable fee of 1,500 rupees ($23.30). 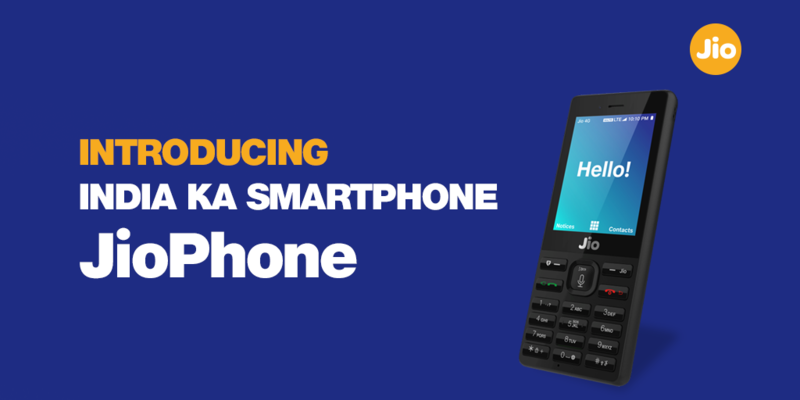 JioPhone will be available for user testing in beta form from August 15.Booking will start from 24th July. JioPhone will be physically available to those who have pre-booked, on a first come first serve basis, September onwards. The company will make available 5 million phones every week . The deposit will be refunded after 36 months on the return of the phone. Voice calling will be free for life while unlimited data packs will cost Rs 153 a month on the device. Quaoting the words of Isha Ambani , Akash Ambani and kiran thomas from Reliance AGM2017. JioPhone is an awesome innovation,made in India by young Indians for all Indians.JioPhone i may look familiar but it is intentional.It is designed to be extremely easy and friendly to use.It is the most intelligent and affordable phone. 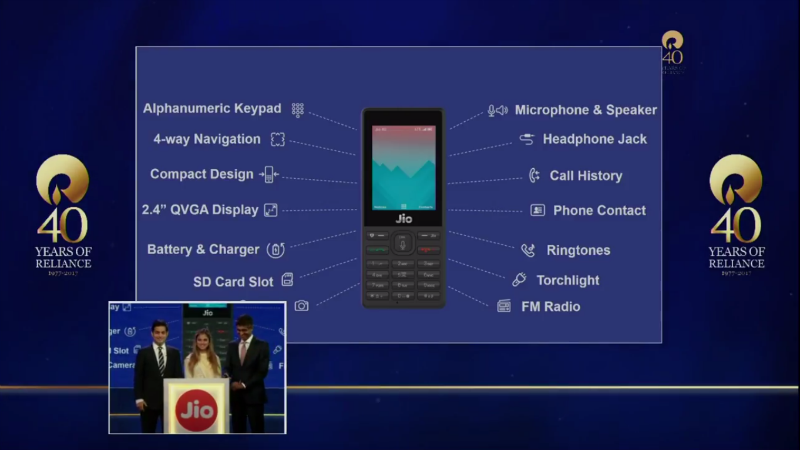 User Interface and Languages:It has a revolutionary and unique user interface.JioPhone will support 22 major Indian languages. Revolutionary Voice command Interface:Still using the keyboard you can simply speak to the phone.You can make calls and SMS using voice command.You can also enter SMS text by simply speaking.Simply intelligent,agreed? ?.You can even brows internet using your voice.Your search results will also be narrated by phone.Jiophone not only just listen in english,it is capable of understanding other languages also. Pre-installed Jio Apps:Reliance JioPhone assures unlimited entertainment with preinstalled jio apps like JioTV,JioMusic,JioCinema etc..
JioPhone Life saver(sos):On long pressing button 5 ,JioPhone will automatically send distress message to your dear and near ones.You can save emergency contact to which distress message will be sent. It also send you exact position(latitude and longitude) to your emergency contact.This is an invaluable feature of the JioPhone. Very soon jio will integrate local Police and Emergency service to this feature. JioPhone TV cable:This is useful for remote parts of India where cable TV and high speed internet is not there.Young JIO engineers have developed a special and affordable Jio Phone TV cable that connects Jio Phone with any television screen.Not just smart TVs ,even your old CRT TV can also be connected using this specially designed cables.Simply put, you can project your JioPhone on to big TV screen. A special monthly plan of Rs.309 is also there for such users. NFC Digital Payments:JioPhone will be introducing NFC(Near Field Communication) technology soon. All indians can link their bank accounts,Jandhan accounts, UPI accounts or any other payments cards to JioPhone and make payments using simple tap of Jiophone.This feature will be automatically added with phone software updates. Like any other JIO SIM plan,voice calls are life time free.For JioPhone users JIO DHAN DHANA DHAN plan is available for Rs.153 per month.And for JIO TV cable users there is a special monthly plan of Rs.309. Reliance Chairman Mukesh Ambani has not yet reveiled complete specifications of JioPhone.But here is the speculations of JioPhone specs. If you are already using a smartphone go to playstore and download MyJIO application.You can pre-book the JioPhone using the My JIO app. If you don't have access ti MyJIO app you can visit a Jio retailer from August 24. It is worth mentioning that theReliance Jio Phone will be up for pre-orders starting August 24. It will be available from August 15th on the first-come-first-serve basis. The target is to make 5 million phones available every week. What is 5G and what it's standards and network,system and device requirements? 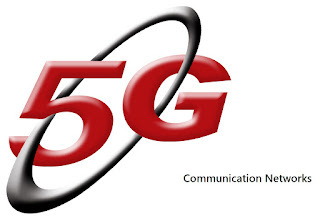 5G or 5th generation wireless network system, is the proposed next telecommunications standards beyond the current 4G/IMT-Advanced standards.Rather than higher data transfer speeds,a 5G network aims at higher capacity than current 4G, allowing more number of interconnected devices per area unit. 5G network is not just a mobile communication network offering high speed data. 5G network envisage network of different kinds of devices connected using a standardized network backbone,that includes mobile handsets,computers,IoT(Internet of Things) and other electronic devices and machines. 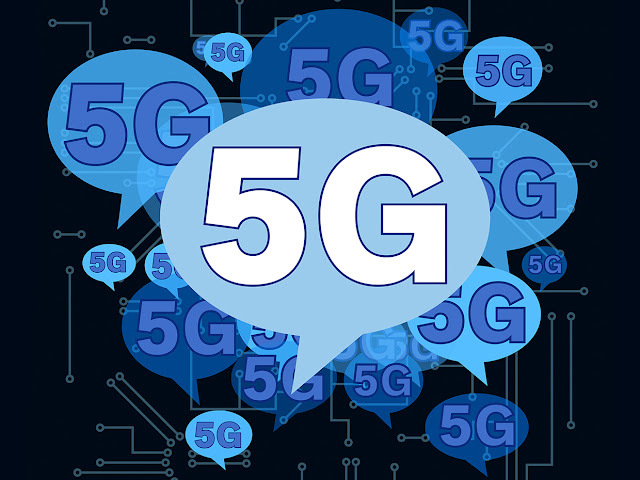 There is currently no international standard for 5G networks.The Next Generation Mobile Networks Alliance (NGMN)defines the requirements that a 5G standard should fulfill.The NGMN Alliance was founded by leading international mobile network operators in 2006. The objective is to ensure that the standards for next generation network infrastructure, service platforms and devices will meet the requirements of operators and, ultimately, will satisfy end user demand and expectations. The vision of the NGMN Alliance is to expand the communications experience by providing a truly integrated and cohesively managed delivery platform that brings affordable mobile broadband services to the end user with a particular focus on 5G while accelerating the development of LTE-Advanced and its ecosystem. The NGMN Alliance complements and supports standards organizations by providing a coherent view of what mobile operators require. The alliance's project results have been acknowledged by groups such as the 3rd Generation Partnership Project (3GPP), Tele Management Forum (TM Forum) and the Institute of Electrical and Electronics Engineers (IEEE).NGMN provides inputs to the International Telecommunication Union (ITU).The ITU coordinates the shared global use of the radio spectrum. NGMN Alliance released white paper on 5th generation mobile network on 17-February-2015.The 5G requirements are derived out of NGMN’s vision on 5G network.An abstract of 5G white paper is given below. Mobility refers to the system’s ability to provide seamless service experience to users that are moving. In addition to mobile users, the identified 5G use cases show that 5G networks will have to support an increasingly large segment of static and nomadic users/devices. 5G solutions therefore should not assume mobility support for all devices and services but rather provide mobility on demand only to those devices and services that need it. System performance requirements define the system capabilities needed to satisfy the variety and variability of users and use cases. Up to several hundred thousand simultaneous active connections per square kilometre shall be supported for massive sensor deployments. Here, active means the devices are exchanging data with the network. Note this KPI assumes a single operator in the considered area. Data rates of several tens of Mb/s should be supported for tens of thousands of users in crowded areas, such as stadiums or open-air festivals. 1Gb/s to be offered simultaneously to tens of workers in the same office floor. The 5G technology should allow the data rates requirements to be achieved in rural areas with only the current grid of macro sites. Signalling efficiency should be enhanced, so that the related radio resource and energy consumption are minimised and justified by the application needs.For certain IoT/MTC applications, additional measures should be considered to avoid a surge by volume in case a large number of devices attempt to access the network simultaneously. Smart devices in the 5G era will grow in capability and complexity as both the hardware and software, and particularly the operating system will continue to evolve. They may also in some cases become active relays to other devices, or support network controlled device-to-device communication. Operator Control Capabilities on Devices 5G terminals should have a high degree of programmability and configurability by the network, for example in terms of terminal capabilities, access technology used, transport protocol used and certain lower layer functions (e.g. error control schemes). The 5G devices should provide the capability to operators to check the hardware and software platform configuration over the air, the capability to update the smart device’s operating system over the air, and the ability to diagnose the malfunction of devices or malware in smart device plus the ability to fix the problems or update device software that affect end user experience or overall network performance. To enable true global roaming capability, smart devices should be able to support multiple bands as well as multiple modes (TDD/FDD/mixed). Note that IoT/MTC devices which are stationary may not require multiple bands/modes. Furthermore, to achieve the high data rates, devices should be able to use multiple bands simultaneously, without impacting the single band performance or network performance. 5G terminals shall support aggregation of data flows from different technologies and carriers. At the device side, the resource and signalling efficiency requirement is even more crucial as frequent signalling has a significant impact on the battery life. Connectivity transparency is a key requirement for delivering consistent experience in a highly heterogeneous environment. 5G may involve a combination of radio access technologies (RATs). In addition, given that 3GPP LTE / LTE-Advanced is likely to further evolve within the 5G era, both new RATs and the LTE RAT may be accessible to 5G user terminals.